Founded AIMSSEC in 2003. 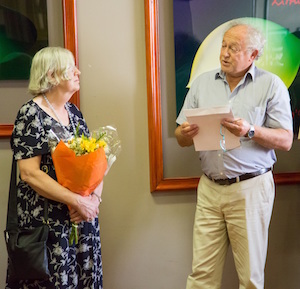 She received an OBE for services to mathematics education in the UK for her work in setting up the Cambridge University Millennium Mathematics Project. As a school teacher, teacher trainer, school inspector, project leader, web author and innovator, in a career spanning more than 50 years. Toni’s aim has always been to help others to enjoy learning mathematics and to appreciate both its usefulness and its beauty. Toni continues to work as an AIMSSEC volunteer, but she has retired from her leading role. South African children today are severely educationally dis-advantaged. Toni and the AIMSSEC team of volunteers from all over the world are working to empower South African teachers to change that situation. 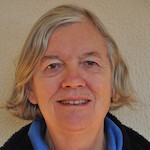 Toni regularly volunteers her services to AIMSSEC, particularly demonstrating her commitment and passion towards the teaching and learning of mathematics.